The ultimate guide to Bansko ski holidays in 2019 & 2020. Sitting at the base of the mighty Todorka peak in the Pirin Mountains, lies Bansko, Bulgaria's newest resort which is quickly becoming one of the country's most popular ski destinations. Given the rustic mountain charm, fantastic skiing on offer and lively après ski, it comes as no surprise that the resort is continuing to draw in and churn out happy skiers. And in case this wasn't enough, you'll pay a fraction of the price of a similar holiday in France or Switzerland. Don’t let the resort’s popularity put you off though – Bansko is now a World Heritage Site, thanks to its rich culture and tradition, which have succeeded in fighting off the commercial feel that comes with so many modern ski resorts. Bansko also comes with the added bonus of soaring North-facing slopes with high altitudes, meaning waking up to fresh powder and a long ski season. With a Funpark to keep the snowboarders happy, and floodlit slopes for late night returns to the village, this really is a perfectly rounded resort. Non-skiers are also sure to find something here to keep them entertained. You can choose from ice-skating and ski-doo rides, kicking back in a relaxing spa or simply admiring the traditional architecture and culture found in the village centre. A highlight in the resort centre is the beautiful village square, which includes the Virgin Mary Church, with magnificent woodcarvings dating back to the 6th Century. 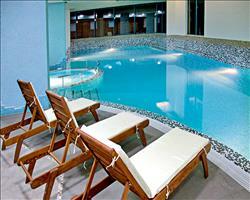 The resort’s nearest airport is in Bulgaria’s bustling capital Sofia. The transfer may be a 3-hour drive between the two, but close your eyes and think of the fresh powder that awaits and the journey will fly by. So as not to waste any more time between you and the slopes, the lift system is efficient, modern and very quick, whisking you up the mountain in less than 20 minutes. View our detailed Bansko snow forecast or snow report and see all live webcams, piste maps, road and travel maps and lift pass prices. For a picture of historic snow conditions see the snow depths month by month with our Bansko snow history. Bansko has in recent years been home to the FIS Alpine World Cup, which can go some way in demonstrating the quality of the snow and the condition in which they are maintained. If it’s good enough for the pros, it’s certainly good enough for us! Beginners are well looked after here, whether this is your first time skiing or you’re a couple of ski sessions left from the reds. New skiers, especially the little ones, can make the most of the Pirin or Ulen ski schools, before venturing out onto the gentle blues, like the Plato slope and the long, picturesque return on the Bansko slope. The reds here will offer a good challenge to most intermediates, whilst some of the more difficult blues under the Mosta lift will keep them more than happy. The pistes here are wide in general, always well maintained, and covered largely by the resort’s snowmaking capabilities. Amongst these painstakingly maintained reds, highlights include the long descent from Bansko's highest lift on the Bunderitsa slope. Expert skiers may be uninspired by the black runs in terms of difficulty, but this is more than made up for by the magnificent views and scenery found on the Tomba slope – named after Alberto Tomba, Olympic slalom gold medalist. Should the advanced skier still have a thirst for something more testing, the two ski routes at the top and bottom of the Mosta lift are perfect, in particular the twists and turns through the tree-lined ?2 ski route. Snowboarders can make the most of the wide slopes and boarder-friendly lifts, but the main highlight is undoubtedly the Bansko Burton Funpark by the Plato 1 blue slope, which includes lines of kickers and railboxes and a few jumps, for daredevil boarders and skiers alike to show off some skills. If the fantastic slopes haven't satisfied your need for speed during the day, fear not, as the pistes are all bordered by floodlights which light up the snow and let you ski late into the night. A living and breathing town, Bansko is the liveliest of the Bulgarian resorts, so you can bank on great après ski here, whether it’s the great local cuisine and wine or something a bit different if you fancy a day off the slopes. Le retro will give you your own little piece of France, or if you want a taste of the Orient go to the Kempinski Hotel’s sushi bar and Teppanyaki grill; but for a true taste of traditional Bulgarian grub, head for one of the many ‘Mehanas’ in the village. A Mehana is the Balkan take on a ‘tavern’, easily spotted with their homely feel, lively violinists, and of course fantastic food, all 3 of which you’ll find at the Tavern Macurev Han or the Baryakova. After you’ve stuffed yourself silly with veal and steaming stews, it’s almost time for a drink, although we’d highly recommend a rest section between the two! Either find yourself a quiet pub (we like JJ Murphy’s) or head down to the Lion Bar for a pint of the local brew, served best with a side of live Premier League football. If you can resist the temptation to go and belt out some Queen at the Karaoke Bar, and just want to party late into the night, the ever-popular Happy End bar (don’t worry, not a sleazy dive bar in Bangkok) is the place for you. After you’ve recovered from the night with a hangover-busting Bulgarian breakfast, should you somehow fancy a day off from skiing, there’s plenty on offer. For a truly unforgettable, hair-raising experience, get yourself strapped in and prepare for some para skiing from the Todorka peak, or for something a little more relaxed, there’s ice skating, rejuvenating spa treatments, or just admiring the village’s beautiful architecture, including the iconic 6th century Virgin Mary Church. When is the best time to ski Bansko? Bansko has more reliable snow than the other Bulgarian resorts - its high altitude (reaching a lofty 2600m) and North-facing slopes mean the ski season usually goes on into late April, the slopes well shielded from the spring sun, and preserving your precious powder. If you’re planning a last minute break early in the season, it’s best to check recent conditions – 90% of the ski area is covered by snow cannons if the snow gods need a helping hand, meaning you should find good coverage. You’ll probably find the best conditions between February and March if you want to book somewhere in advance. Should the temperatures somehow prove a little too high for the snow to last all day long later on in the season, make the most of it in the morning before soaking up some rays on 180° Restaurant’s outdoor beer garden. Many skiers opt to take the gondola from the main ski centre down to town to avoid the lower slopes later on in the day. Bansko is a great place for a family ski trip, owing largely in part to the fantastic learning facilities and family-friendly hotels. The ski schools pride themselves on years of teaching experience and English proficiency, and not only guarantee your kids will learn loads, but will have the time of their lives doing so! If the skiers in your family are a little past the nursery slope stage, there are some great confidence-building slopes here, namely the Plato slope, and the long winding blue under the Shiligarnik lift. 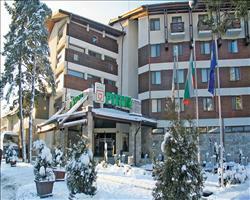 As far as accommodation goes, the Hotel Sport Bansko is in the perfect location for any families with learners, just a stone’s throw from the ski school meeting point. 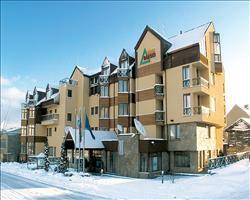 Most of the other accommodation is all fairly localised around the village centre, not far at all from the lifts. 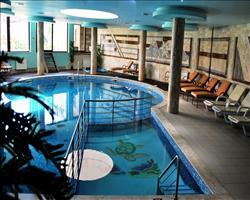 The Hotel Pirin’s large rooms and modern facilities also make it a great choice for families. Any teens travelling with the family will be glad to know there is WiFi available in most if not all of our hotels, so your Facebook addiction need not suffer whilst you’re away! Should the young adults be able to tear themselves away from their technology for long enough, we’re sure they’ll enjoy the Funpark under the Plato lift, complete with rails and jumps to show off some moves. For the best value for you and your family, book a package including flights accommodation and transfers, or alternatively look for our self-drive or independent travel offers. Travelling in a group can often be difficult; there may be skiers of different standards, non-skiers, trouble finding accommodation big enough, and of course organising the trip itself! 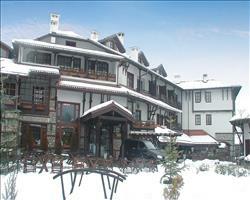 With Sno and Bansko, all these troubles can be cast out the window. We’ll save you the hassle of booking the trip, whilst the resort ensures there’s something to keep everyone happy! Skiers of different levels will all be kept entertained, whether you’re still on your pizza slices and French fries, zooming down off-piste ski routes under the Mosta lift or even sharpening up some snowboarding tricks in the Funpark. Should any non-skiers be able to resist the temptation to learn how to ski here, there’s some ice-skating, snowmobiling, even paintballing all on offer, and don’t overlook just relaxing in the hotel spa and soaking up the old town’s culture! Whatever it is you’re doing, one of Bansko’s many bars or restaurants provide the perfect place to sit and recount the day’s adventures. 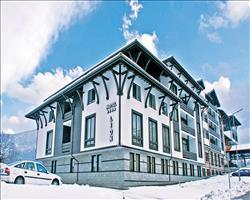 Another important aspect of a group ski holiday is having a great place to stay, and Bansko are far from short on these. Kempinski Hotel Grand Arena provides a stay with all the facilities you could possibly want, and should be big enough to accommodate any last-minute additions to your group. Apartments like the Grand Montana can give a great group feel to the holiday, as well as being a perfect set off point to explore the village. Booking our flights, transfers and accommodation packages gives you best value for money and saves you the most hassle, but if you’re up for the challenge of organising a self-drive or independent travel group trip, our other deals will suit you too. The skiing was brilliant; I’ve been to more challenging places in terms of slopes like Val d’Isere but for what it was, it did the job pretty well and we were really impressed with what was on offer. It’s bang on for a nice cheap ski holiday, not top of the range lovely powder like you get in Val d’Isere and Canada but fine for what you pay for it. We stayed in a hotel but ate out, we just walked down the main high street and picked a different place per day. 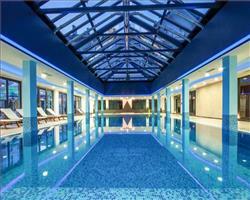 There are some nice Bulgarian places as well as more commercial places like burger joints etc. Eating out is a lot cheaper than ski resorts in France and we were having three course meals for about £20 each with cheap drinks too. It’s quite a young place where a large contingent of the people are 18-30 year olds living out and working in the resort. Everyone is so friendly and there are some really cool people, we made mates with the ski instructors and went out with them a few times. The nightlife was good on certain days, one night we went to a club and it was completely empty but we still had a good laugh and whenever we went to the busier places they were really good too. There are other things to do like snowmobile toboggan stuff which we didn’t do but heard it was awesome and well worth doing. There are also signs for paintballing and other stuff like that. It’s good for young groups but families would do well there as well, my auntie had a holiday in Bansko with her family and they had a great time. "Incredible value and a fun place"
I would definitely go back to Bansko, everything is really reasonably priced - I’ve been to France before and it’s much cheaper than there. The skiing is probably not as good as France but it was everything we needed. It’s definitely enough skiing for a week, but if you stayed any longer than a week you would probably want somewhere where you could explore further. It’s best for about intermediates moving on to experts, although there’s not an awful lot of off-piste, there are a couple of black runs. There are a few bars there that had bands on which was quite cool. We had a good time here as a couple but I’d definitely go back with the lads on a group holiday. 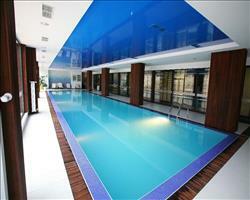 It is suitable for families but I think with the rowdy bars it’s probably best for young groups. "Prefect learn to ski with children"
If you're going to learn to ski or with small kids, Bansko is perfect, however if you’re intermediate above you’d probably get bored (I did pretty much all the area in half a day). For beginners, the main run that links back down from the top station is really good as it’s nice and long whereas on the nursery slopes you have to keep going up and down. The cost of lunch on the slopes is really good compared to the Alps, but then you don’t get the huge ski area you would have in France. There was cannon snow at the bottom but it was decent up at the top, we were here over the half term week and there was a busy morning rush for the gondola to get to the bottom main station, but once you were up on the mountain it was fine. 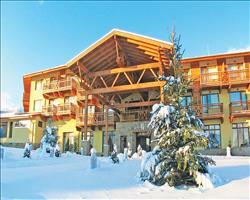 I’d recommend Bansko to beginner – intermediates as a nice place to play around. If you’re above this level it can get a bit repetitive for a whole week, but I knew that before we arrived (Bulgaria isn’t like France in terms of big ski areas). We had two beginner skiers with us and it was good for them, with some nice spots to practice on. They raved about their ski instructor and came away feeling confident which was great. We were quite surprised how quiet it was – maybe it was because we stayed there towards the end of the season but we expected a bit more après ski. "Make sure you pre-book a VIP lift pass"
It’s the perfect place to go for beginners! It was our first time on real ski slopes and we did quite a bit of research to work out where was good to go. I couldn’t fault it. There are good slopes to learn on. The ski school was very good; our instructor was great and spoke good English (we used Ulen ski school, the ones with the blue and yellow jackets). For lunch there is one main hut on the main slope. I found it expensive to eat up on the slopes, about £12 for a hot dog and a coke. 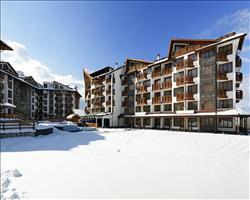 It can get rowdy in Bansko over New Years, so it might be better to go here out of peak season. There are lots of people touting their restaurants and hotels in town, but everyone is polite and friendly. It was nice to be staying a little out of town and away from all that. I would massively recommend getting the VIP lift pass which means you don’t have to queue for the lifts, it was so worth it. If you don’t get one of these then you can be queuing for around 2 hours! Bansko’s skiing isn’t particularly exceptional, but my boy hadn’t been before and I would definitely recommend it to anyone who is skiing for the first time. I wouldn’t go for advanced skiing. The cost of living is cheap as chips – a bottle of premium beer costs 50p and you can get a great meal for £10. It’s one of the cheapest places I’ve ever been. Even the holiday cost was good, France or Austria would have been double what we’d paid. It was a long trip from Sofia, with never ending roads that weren’t really nice. Our coach stopped half way for a good 20 minutes though which made it better. There were queues for the gondola but I think the place is a victim of its own success – because it’s so cheap a lot of people go there. "If you are in the ski school then you can jump the queues"
It’s a good resort, we’ve been before. It’s probably best for intermediates to advanced level. If you are in the ski school then you can jump the queues. Some of our party used the ski school and they found it good. 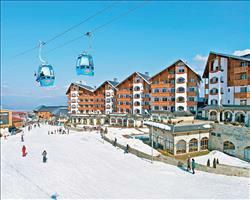 "Resort is still under development"
We preferred our holiday to Borovets in Bulgaria. In comparison Bankso is very much still in development. The buildings and the roads are still under construction. A lot of the pavements into town were broken and had potholes. The skiing was good. We didn’t have any snowfall while we were there, in fact I think there was a bit of a heat wave, so the snow deteriorated over the week. There were definitely enough runs, and there was plenty to suit our level of skiing. It’s worth knowing that if you leave your gear in the storage room at the lifts as we did then it can take around an hour to queue to get your stuff and then queue for the lift. You can get a pass which allows you to go in the priority queue and this saves you having to wait for the lift, or you can arrive later at the lifts. If you get there for about 10:30 or 11am then you can pretty much walk straight through. It’s good value for money in resort, it was quite cheap to go out at night and to eat out. It’s much more expensive to eat out up on the mountain than in town, it’s literally double the prices up at the top. Bankso is very good for going out, there is night entertainment for adults but there are also plenty of restaurants for families, etc. The transfer from the airport was quite long. It took about 2h30. "Long queues at the gondola put us off"
The snow wasn’t very good while we were here. We were very disappointed with the lift system, we wouldn’t come back to Bulgaria. We had to queue for around an hour at the gondola to get up onto the slopes. It was about 12 or 13 degrees at the bottom, so there was no snow. 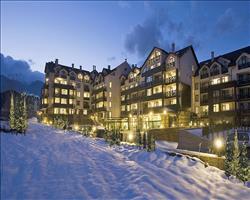 The resort is good value, but we would prefer to spend some more and go to a more snow sure resort next time. We ate out on the slopes a bit for lunch. We went to one place which was an interesting experience. We ate horse burger and it was cooked on a bbq in the woods (heath and hygene went by the board). I would have hated to be a vegetarian here. They don’t know what a vegetarian is. The local people were very friendly and we got a very warm welcome everywhere we went. 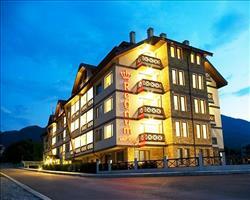 The town of Bansko is interesting. There is an authentic village down at the bottom which is quite picturesque and has a church as some older buildings, and then at the top there is a new, purpose-built ski resort which doesn’t really look finished and isn’t anywhere near as nice. I think most people don’t really bother walking down into the older part of town. We went down for the celebrations on New Years day which was quite weird, lots of men in traditional dress. "Liked the skiing but not the town"
I don’t think we will go back to Bansko… The skiing’s is brilliant but the town isn’t. It’s almost like Benidorm with neon lights everywhere. The slopes are amazing though, it’s just the town that we didn’t like. "Slopes more difficult than they looked"
The slopes were marked up wrongly as to difficulty, they were a lot more difficult than they looked. They were also really busy to the point of being dangerous and there were horrendous queues for the lifts. We were all so disappointed and really fed up and the people I went with said they would never go there again. I had an accident on the first day and was completely ignored and not told we had to make an insurance claim until it was too late. One of the people in our group couldn’t come and they kept her lift pass and sold it on without giving her a refund, which when you think we had cancelled her holiday quite a while beforehand was so disappointing.